Suzan Obagi, MD « Cosmetic Surgery Forum – Practical. Honest. Insightful. 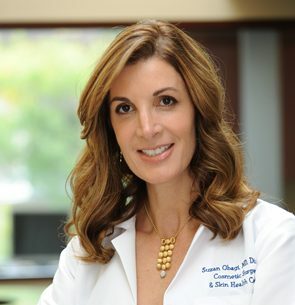 Dr. Suzan Obagi is recognized as one of the world’s most respected cosmetic surgeons and dermatologists. Dr. Obagi is an associate professor of dermatology and associate professor of plastic surgery at the University of Pittsburgh Medical Center and serves as the director of the state-of-the-art UPMC Cosmetic Surgery & Skin Health Center. Dr. Obagi’s academic commitments include training medical students, residents, fellows, and physicians from around the world on the latest in cosmetic and laser surgery. Dr. Obagi has published in peer-reviewed journals and has authored many chapters in premier textbooks on dermatologic, plastic, and cosmetic surgery. Dr. Obagi is the 2018 President of the American Academy of Cosmetic Surgery and has formerly served as vice president of the American Board of Cosmetic Surgery and as president of the Cosmetic Surgery Foundation. She has been published in many medical journals and books on skin health restoration, autologous fat transfer, neuromodulators and soft tissue fillers, chemical peeling, dermabrasion, and lasers.